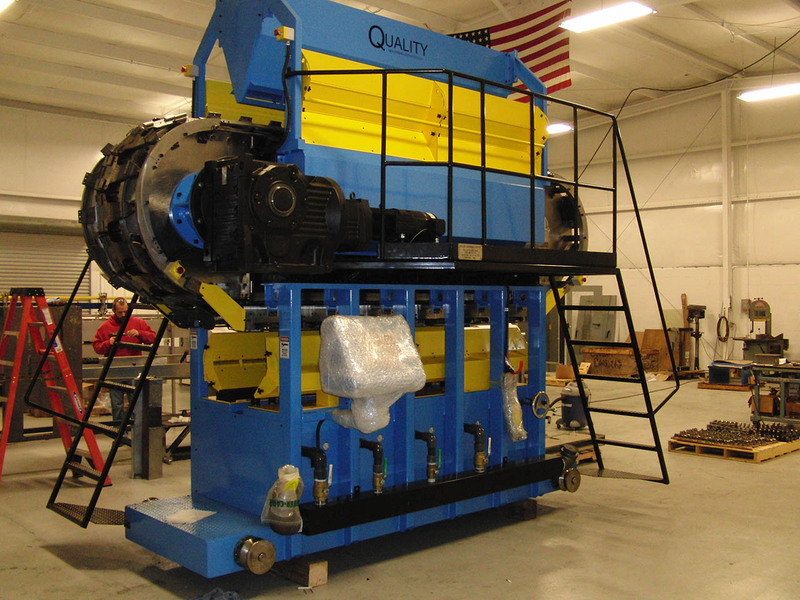 Quality Machining Services produces top quality Vacuum Corrugators. 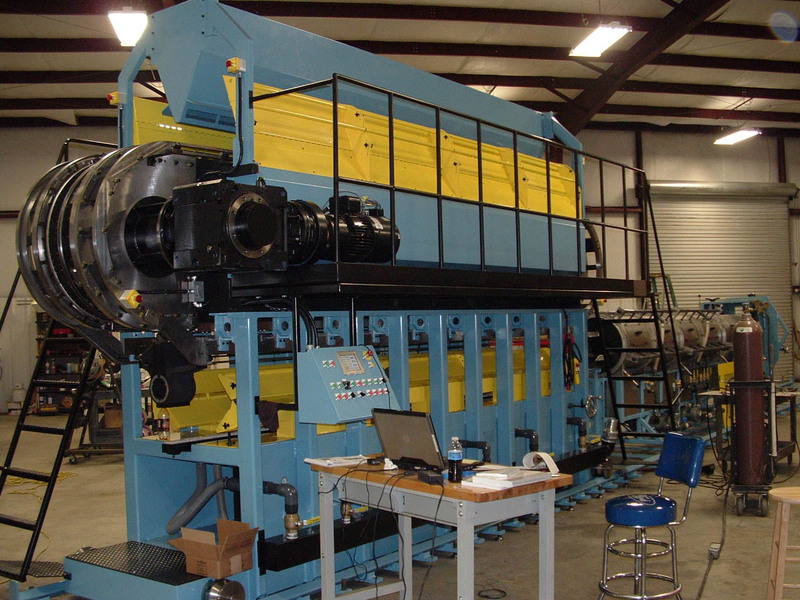 QMS Corrugators can be found in some of the largest drain tile manufactures in the United States. This drain tile can also be found in many home improvement stores. 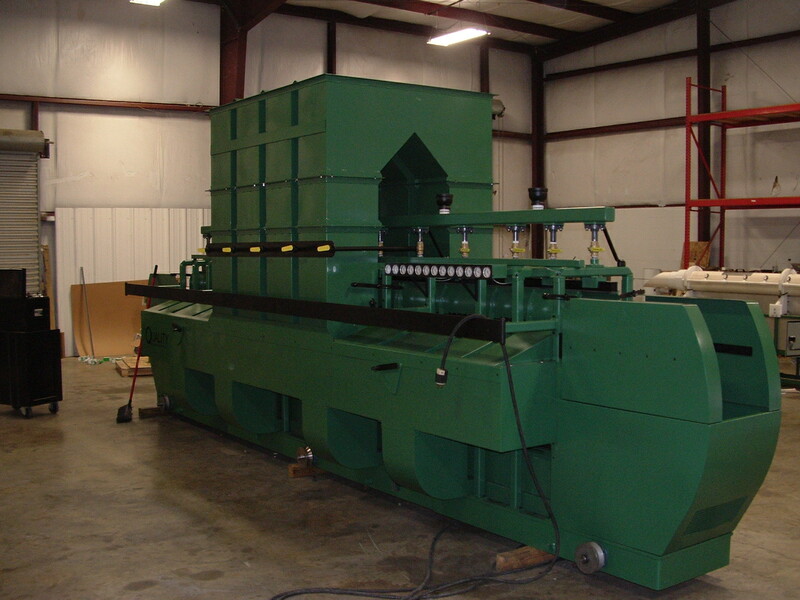 We can refurbish aging corrugators from other manufactures. 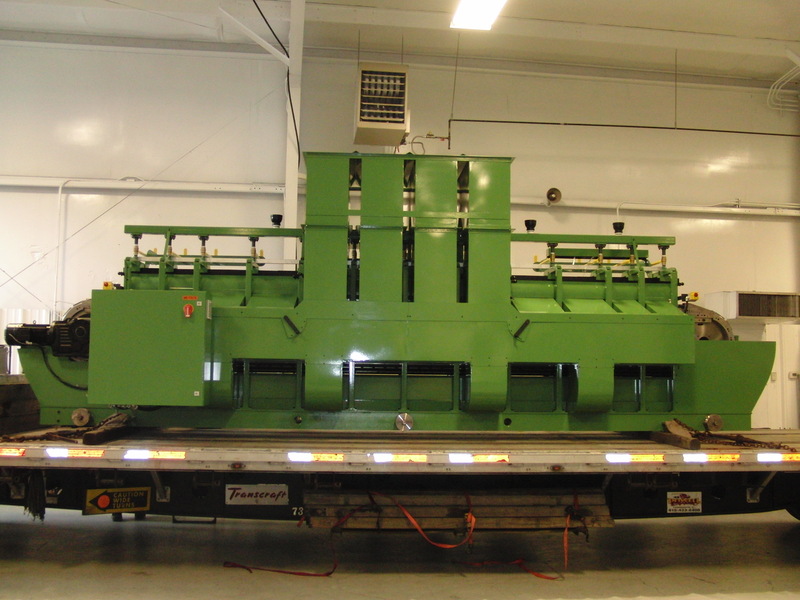 These corrugators are designed to carry 90 or 124 pair of molds using dove tail mold mounting design. Molds can produce product from 2’’ to 6’’. The mold chain has a direct drive system. 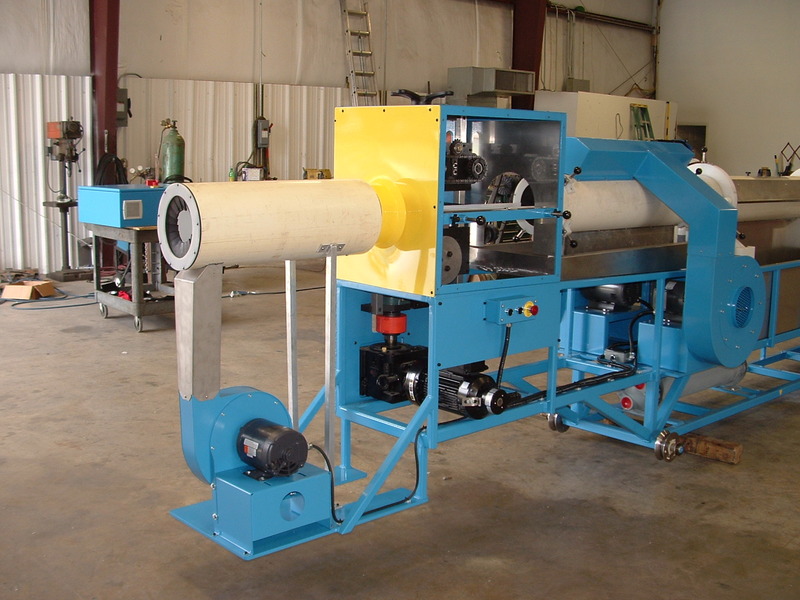 Corrugators include a water bath cooling tunnel. 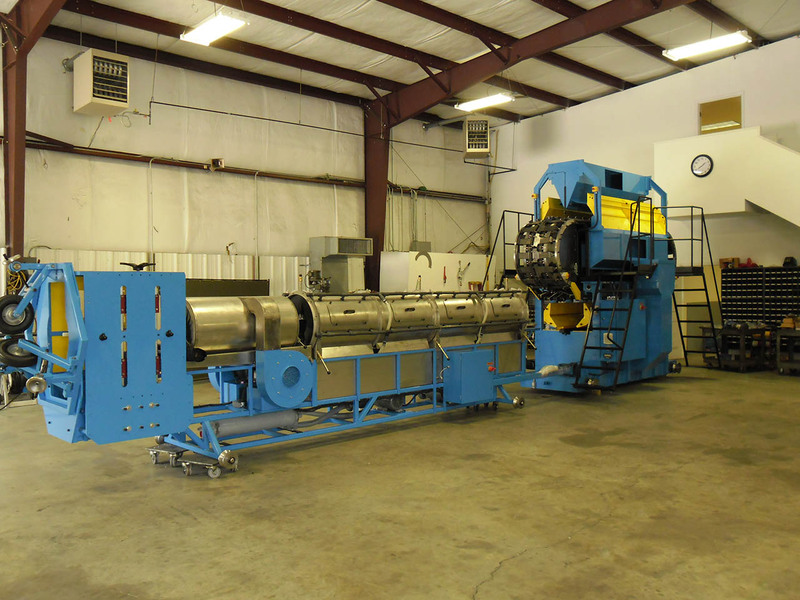 The SVC 124 corrugator has a longer closed mold tunnel for better cooling. 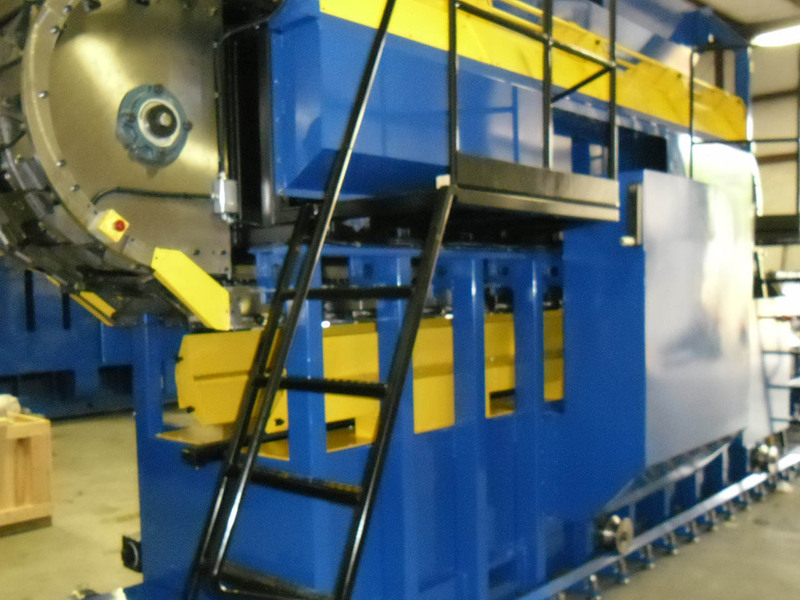 Wear track systems are produced from 4140 HT steel. 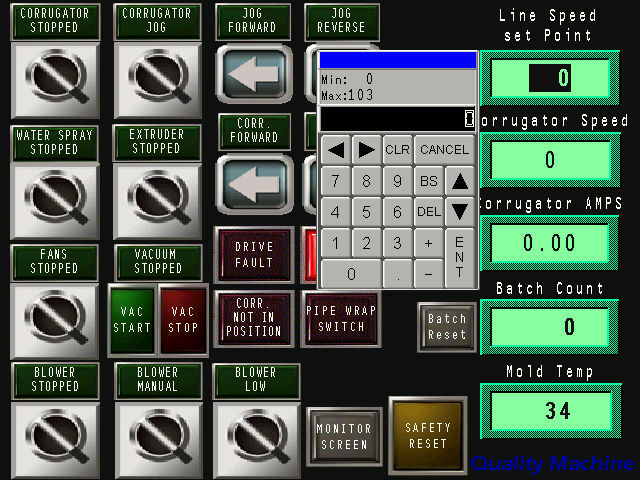 Machinery operating controls can be placed on either side specified. Corrugators are guarded to meet OSHA standards. 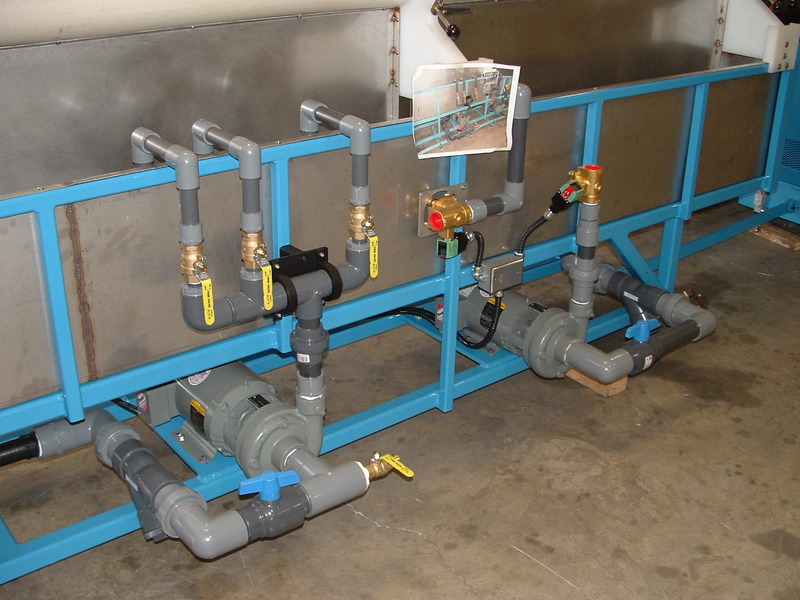 Commercial components are comprised of standard commonly obtainable products. 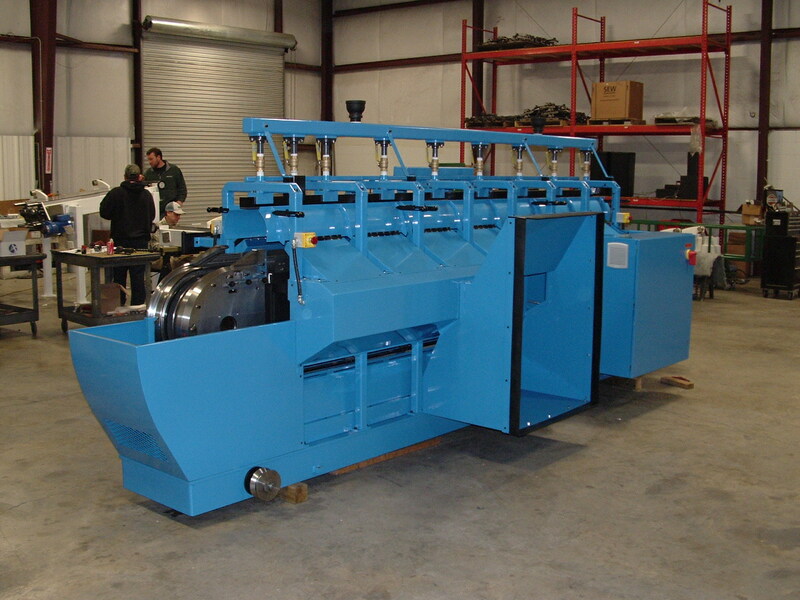 These corrugators are designed to carry 45 or 64 pair of molds using dove tail mold mounting design. Molds can produce product from 4’’ to 15’’. 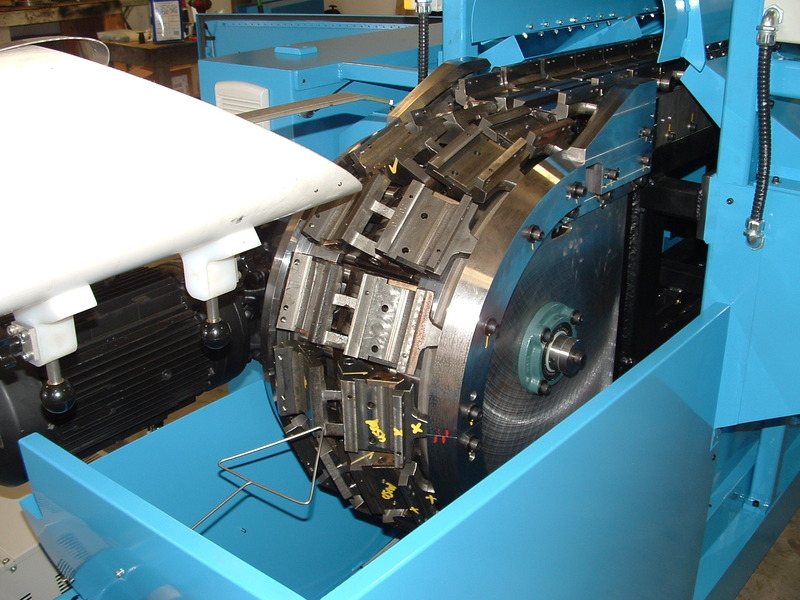 The mold chain has a direct drive system. 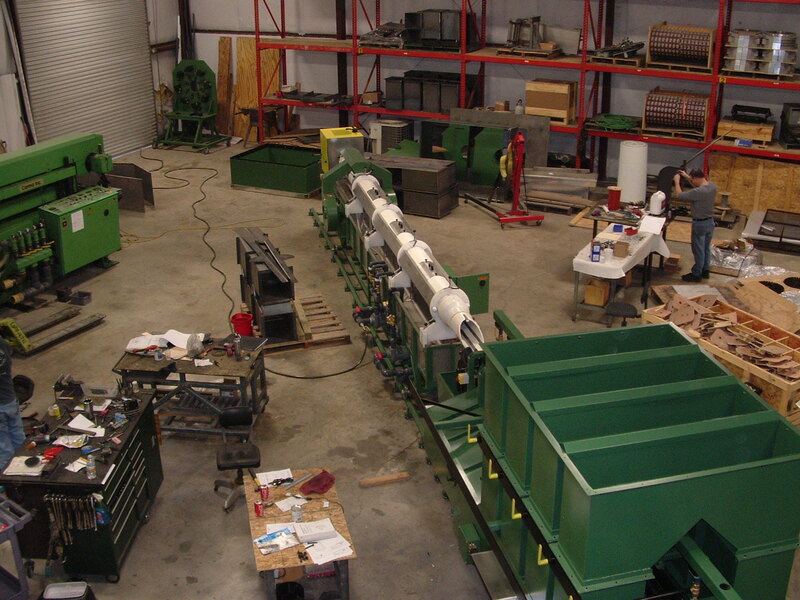 Corrugators include a water bath cooling tunnel. 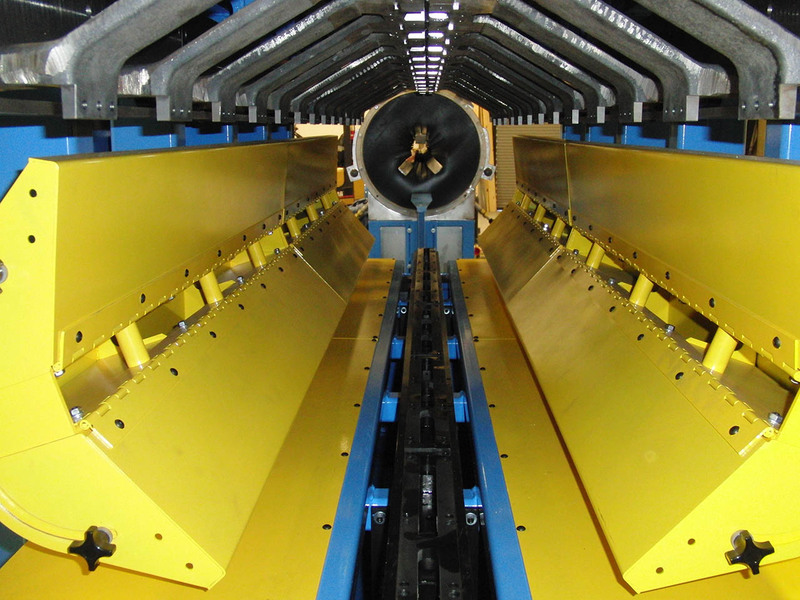 Wear track systems are produced from 4140 HT steel. 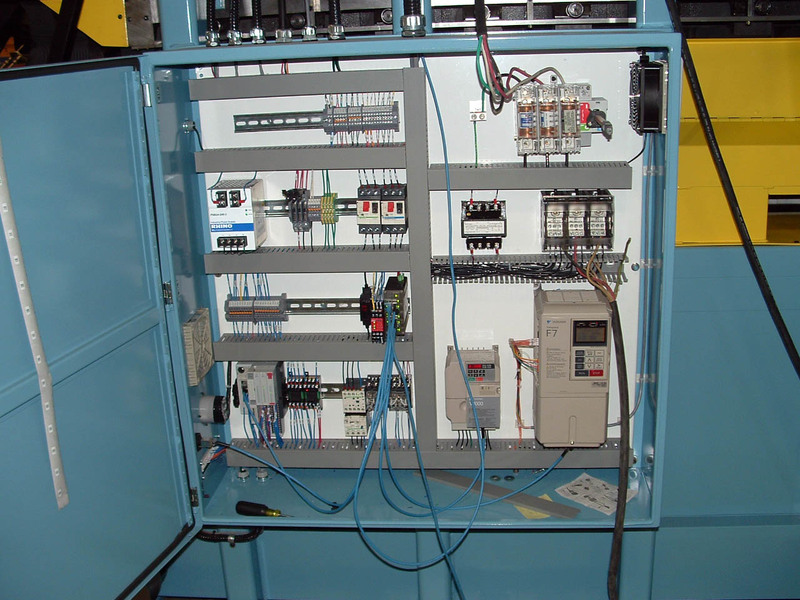 Machinery operating controls can be placed on either side specified. Corrugators are guarded to meet OSHA standards. 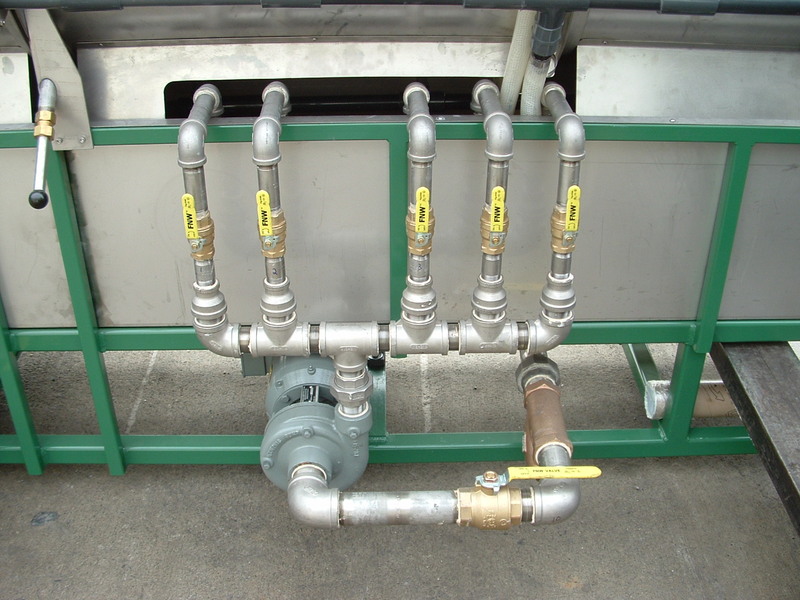 Commercial components are comprised of standard commonly obtainable products.